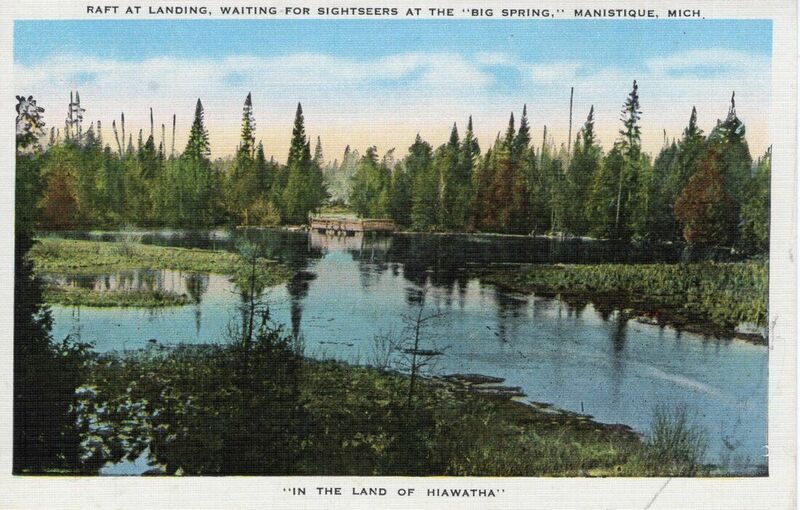 Nearby Kitch-iti-kipi – also known as the Big Spring – is located about an hour east of Escanaba in Palms Book State Park. This natural attraction remains a popular tourist destination for Escanabans. Raft at Landing, Waiting for Sightseers at the "Big Spring"